The new Short Story Day Africa anthology, Terra Incognita, is now available, and Books LIVE has an excerpt to share! 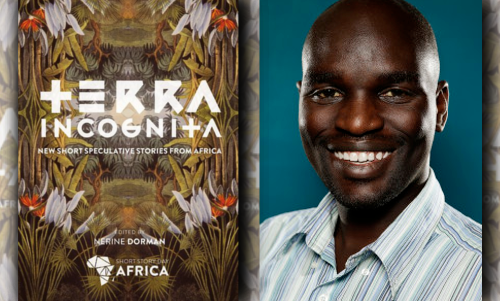 Terra Incognita, which was edited by Nerine Dorman, features 19 new speculative fiction short stories from African authors. Diane Awerbuck was announced as the winner of the competition in November, for her story “Leatherman”, which you can read here. Terra Incognita is the second collection of short stories to be published by Short Story Day Africa. This carefully curated collection of nineteen stories is harvested from entries to the project’s annual short story competition, which in 2014 called for speculative fiction exploring a theme Terra Incognita, and ancient cartographic term denoting uncharted territories. The collection includes well-known and award-winning and authors Cat Hellisen, Diane Awerbuck and Gail Dendy, alongside emerging stars like Dilman Dila, Nick Mulgrew and Chinelo Onwaulu. The stories in the collection encompass all forms of speculative fiction, from literary magical realism to science fiction to dark horror, and pulsing through each is a new African paradigm. Here be vampires, tokoloshi, ghosts, unnatural obsessions and the unspeakable things that lurk beneath land and in the water. Alert! The Open Book Festival has announced five more international authors for this year’s event. Early in February, Open Book announced that Patrick Gale, Neel Mukherjee, Karen Joy Fowler, Saskia Goldschmidt, Okey Ndibe and Yvonne Adhiambo Owuor will be guests at this year’s festivities. Festival organisers have now confirmed that children’s book author and illustrator Chris Riddell, American journalist and LGBT rights activist Masha Gessen, vice-president of Ukrainian PEN Andrey Kurkov, Helen Macdonald, who won the Samuel Johnson Prize for her book H is for Hawk, and Laura van den Berg, whose debut novel Find Me was recently released, will be in Cape Town for the event. It feels like the year has barely started and yet, here we are in March. Time is moving quickly, which is great if you’re waiting for September to arrive, and transform Cape Town into a hub for all things literary. Each year we’ve been lucky enough to be joined by an amazing children’s book author and illustrator and 2015 is no different. Chris Riddell, has confirmed he will be in Cape Town! Well known for his collaborative work with Paul Stewart, Russell Brand and Neil Gaiman to name just a few. He is also the author behind the Ottoline and Goth Girl series (amont others). Not to be missed! As exciting on a different front, are Masha Gessen, Andrey Kurkov, Helen Macdonald and Laura van den Berg. Gessen is a Russian/American journalist, author and activist who has written extensively on LGBT rights. Her latest book, The Brothers: The Road to an American Tragedy, will be released in April 2015. Andrey Kurkov, respected author and social commentator and vice-president of Ukrainian PEN has several novels under his belt. 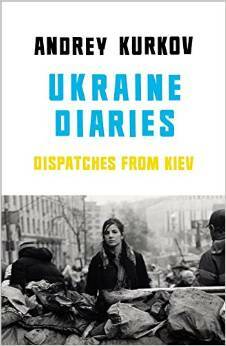 In 2014, he published, The Ukraine Diaries: Dispatches from Kiev, the diaries he kept over the course of the Ukrainian revolution which began in November of 2013. Helen Macdonald has a long standing love of falconry and following the death of her father, made the decision to train a goshawk. The book about her experiences, H is for Hawk, won the 2014 Samuel Johnson Prize as well as the Costa Book Award. 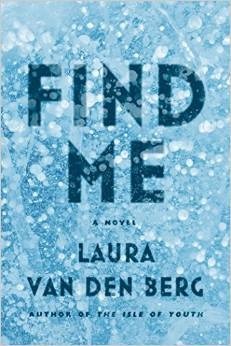 Laura van den Berg has published two short story collections, and has just released her much anticipated first novel, Find Me. They will be joining Karen Joy Fowler, Patrick Gale, Saskia Goldschmidt, Neel Mukherjee, Okey Ndibe and Yvonne Adhiambo Owuor. The Open Book School Library Project is one that is close to our collective hearts. We are delighted to announce that we will be working with St Mary’s Primary in 2015 and look forward to getting to know the teachers and learners. We have made some changes to the project which we think are going to grow the positive impact we are able to have on learners. Instead of a library – which has to be staffed and is not always easily accessible – we will be putting ‘Open Boxes’ into their Grade R through to Grade 2 classes. The boxes will include a great selection of books, games, DVDS and other resources of value to the teachers. As always, we will run exciting book related events at the school, in particular for those grades we are working with most closely. In other news, the Open Book Mentoring Programme has started. Aimed at aspiring writers, the month long programme is currently running at Central Library and will be moving to Westridge High School in April. 14 – 21 March is Library Week, so it makes sense that we are involved in celebrating with some of the fantastic public libraries. Together with Su Opperman (CCIBA), Rondebosch Library and Central Library, we have organised two ‘Draw Your Own Super Hero’ workshops – places are limited, so be sure to RSVP! If you would like further details about the festival or events through the year, please contact Frankie (frankie@openbookfestival.co.za). 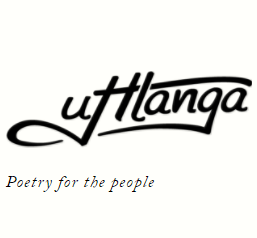 For further details regarding Poetica, please contact Mbali or Siphokazi. Open Book is organised in partnership with The Fugard Theatre, The District 6 Museum, The Townhouse Hotel, Equal Education, The Bookery, The Dutch Foundation for Literature, The French Institute, The Confucius Institute, Central Library, SA PEN, The Goethe Institute, UCT Creative Writing Department and sponsored by Pan Macmillan, NB Publishers, Jonathan Ball and Penguin Random House. Aandag! Adam Small, Wilma Stockenström en Philip de Vos is gisteraand by die jaarlikse Fiëstas vereer vir hul lewenslange bydrae tot woordkuns. “Die Fiëstas word beskou as die vertoonvenster van Afrikaanse talent waar akteurs, regisseurs, skrywers, musikante en visuele kunstenaars vir hul uitnemende werk van die afgelope jaar vereer word,” skryf kykNET op hul webtuiste. Die swaargewig-drama­produksie Bloed en Rose: Die lied van Jeanne en ­Gilles is aangewys as die beste algehele aanbieding op verlede jaar se feeste. Met drie neem dit die voortou onder die kykNET-Fiësta-toekennings. Die Fiëstas, wat prestasies op die Afrikaanse kunstefeeste ­vereer is Donderdagaand by ’n ­spoggeleentheid in die Kunstekaap oorhandig. Die gasheer van die aand was Frank Opperman en die gehoor is vermaak met onder meer ’n optrede deur die Kaapstadse Stadsballet. 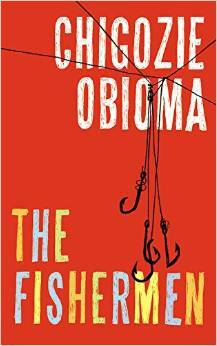 Obioma’s The Fishermen is storytelling at its most captivating. The novel is delivered with the enchanting tenor of an ancient storyteller. Reading Obioma’s debut work is as close as you would come to feeling the wide-eyed wonder of children listening to stories while sitting on the ground around a fire that crackles and pays homage in thick smoke to the silver glow of moonlight. Wat hierdie werk nodig gehad het, was ’n kundige en meedoënlose redakteur wat as tugmeester kon optree. Wat die oordadige (en soms te gemaklike) eksegese (kyk 244) en gedwonge simbolisering kon snoei en daarmee gepaard die tipiese neiging van ’n debutant om ’n geslote teks te skrywe, in plaas daarvan om die leser ’n bietjie meer vrye teuels te gee wat veral die lê van verbande betref. Desondanks is dit in die geheel geoordeel ’n geslaagde debuut; selfs méér as behoorlik, van iemand wat sonder twyfel die talent en vaardigheid besit om ’n belangrike roman te skryf. As ’n komiese figuur slaag Polly. Haar uitkyk op die lewe en haar herinneringe aan haar man en al sy sotlikhede is skerp en snaaks. Daar is saam met die humor baie pitkos. As tragiese figuur kruip Polly egter nie in ’n mens se hart nie. My groot vet Griekse egskeiding is aan die skraal kant, ondanks die skerp insigte in die intieme verhoudings van die huwelik en in mense wat oor die kultuurgrens heen trou. 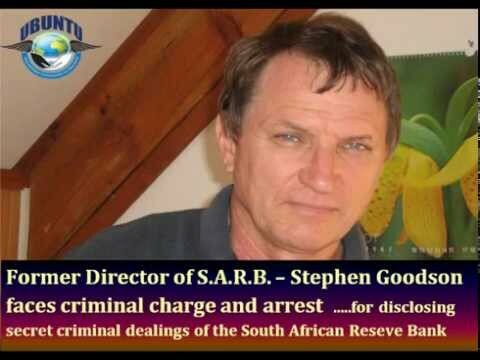 The South Africa Reserve Bank has laid charges against its former director Stephen Goodson, relating to claims he made in his book Inside the South African Reserve Bank: It’s Origins and Secrets Exposed. 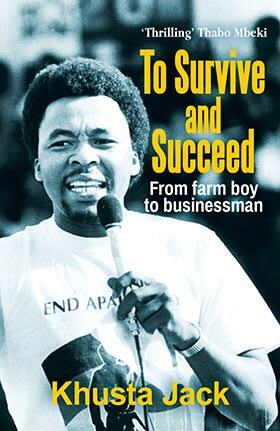 The book, which was released last year, is being investigated by the Hawks for breaching section 33 of the Reserve Bank Act, which refers to the preservation of secrecy relating to the affairs of the bank. According to a press release on the Ubuntu Party website, Goodson “strenuously denies having committed any ‘crime’”. Colonel Schilz clearly struggled to follow Mr Goodson’s explanations. After an extended interview, Schilz terminated the meeting out of sheer exasperation. This action simply highlights the secretive activity of SARB and the secrecy clause that protects this establishment from being exposed, and prevents ordinary people who have been harmed by its actions from attaining justice. Furthermore, it clearly highlights the fact that the SARB operates above the law and masquerades as both a private corporation and a government institution protected by legislature. Goodson told Independent Media that the bank has “no case against him”. “They have no grounds to make that claim; they are just using state resources to get back at me for disclosing the truth about the criminal organisation that the bank has become,” he said. The Reddit Book Exchange: Send a Book Across the Globe – and Receive One in Return! Reddit can be a scary place. Known as the front page of the internet, many things you find on this social networking service can never be unseen. With subreddits for any imaginable (and unimaginable) topic or interest – from The One True God (Nicolas Cage), Photoshop Battles, Trypophobia (an irrational fear of holes) to Avocados Gone Wild, Celebrity Arm Pits, Birds With Arms and Cats Are Assholes – you are always one click away from regret. However, it can sometimes be a magical place. One of my favourite subreddits is I Am A … Ask Me Anything. Here you can find Julian Assange, Astronauts, The President of the USA, Peter Dinklage and so many more interesting people answering interesting questions in the best possible way. Many amazing authors have done IAmA’s, including our very own Lauren Beukes. There are quite a number of amazing bookish subreddits, with the best one uniting book lovers to “encourage in-depth discussion about all things related to books, authors, genres or publishing in a safe, supportive environment.” Be sure to visit and favourite Books. The morning of March 16, 2015, we will close signups and our computer program will choose who you should send a gift to (this is the most important part; this is about the giving!). Once you come back here to pick up your match’s information, you’ll have until April 3, 2015, to ship your gift. When you ship it, keep a receipt and come back here to tell us you’ve shipped it. When you receive a gift, you’ll need to come back here and post an amazing thank you note, hopefully with photos! I’ve taken part in two bookish exchanges and can say, without any reservation, that it was worth the effort. My first exchange, the 2014 Book Exchange, was very difficult because my match was hard to figure out. The Belgian gave me very little to work with, basically just listing books he still wants to read and mentioning that he likes fiction and non-fiction, poetry, literature and fantasy. In the end I sent him a copy of The Way of Men by Jack Donovan which he claimed to be excited about getting and threw in my old copy of The New Century of South African Poetry edited by Michael Chapman and a moustache to add some sparkle to what I did not want to be a lame gift. My secret Santa, however, showed no initiative. I had listed The Catcher in the Rye by JD Salinger as a favourite, even mentioning already having a copy, and he sent me another one. Via Amazon. With no note. I had to remind myself of the Reddit philosophy that it is about giving, not receiving, and moved on with my life. My second exchange, on the other hand, was a great experience. My Harry Potter Gift Exchange match was a quirky girl from Scotland who felt it important to point out that she thinks it very unfair that she will never be able to read in front of the fireplace in the Ravenclaw common room. She was so colourful I had to limit myself to not go overboard with all the possible things I could send her. In the end I collected random tidbits, including a tiny warm water bottle (to use for warmth when she misses the fire), a plastic tiara (in memory of the famous lost diadem of Ravenclaw) and a copy her favourite Harry Potter book in Afrikaans – Harry Potter En Die Orde Van Die Feniks – because she said she loves foreign languages. 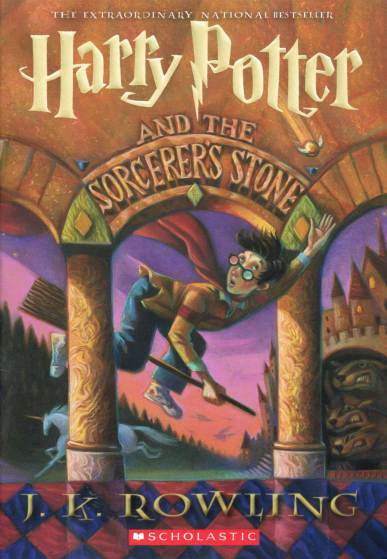 My secret Santa for this exchange mimicked my thoughts and sent me a hardcover edition of my favourite Harry Potter book, Harry Potter and the Sorcerer’s Stone – in Estonian! She also wrote me heartfelt note and included a drawing of Hagrid in the package. Unfortunately my package never arrived in Scotland – as many parcels from South Africa do, it got lost in the mail. Consequently I have been de-credited on the exchange system and have to send something to someone before I may participate again. Sigh. If your question is, after having two very mixed experiences, would I do it again, or recommend it to anyone? My answer is yes. Definitely. Connecting with someone so passionate about something that means a lot to me in such a dramatic way gave me a kick I can’t explain. Maybe I will write a haiku about it one day, who knows. So do it! Sign up for the Reddit Book Exchange, say a prayer to the post office gods and hope for the best. Don’t forget to share your story with us in the comments below, on Facebook or Twitter! The Goethe-Institut Johannesburg invites you to “Writers’ Versatile Worlds”, with Dilman Dila, Napo Masheane and Niq Mhlongo. The event is part of Literary Crossroads, a new series of talks, curated by Pumla Dineo Gqola and Indra Wussow, where South African writers meet peers from across the continent and from the African diaspora to discuss trends, topics and themes prevalent in their literatures today. For the event Dila, Ugandan author of A Killing in the Sun, and Masheane, a poet and performer from South Africa, will discuss experiments with literary forms, genres and techniques. The discussion will be chaired by Mhlongo, whose most recent novel is Way Back Home. Both our guests are masters in their fields and easily change literary forms and by doing so invent new genres with experimenting and with amalgamating interdisciplinary techniques into their works. 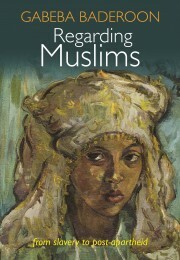 The event will be at the Goethe-Institut at 7 PM at Thursday, 12 March. Baderoon adopted a fairly simple but argumentative style; with this elegant and explicit technique she managed to demonstrate that she was au fait not only with the extant theoretical tools and frames in literature but that she was also well-acquainted with the issues that have been neglected and matters that have to be addressed.